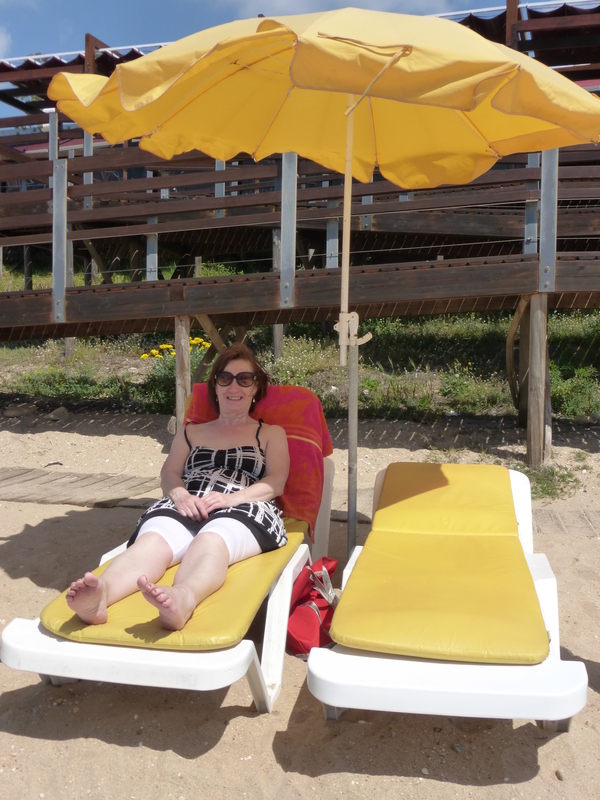 Algarve memories | Hand Luggage. 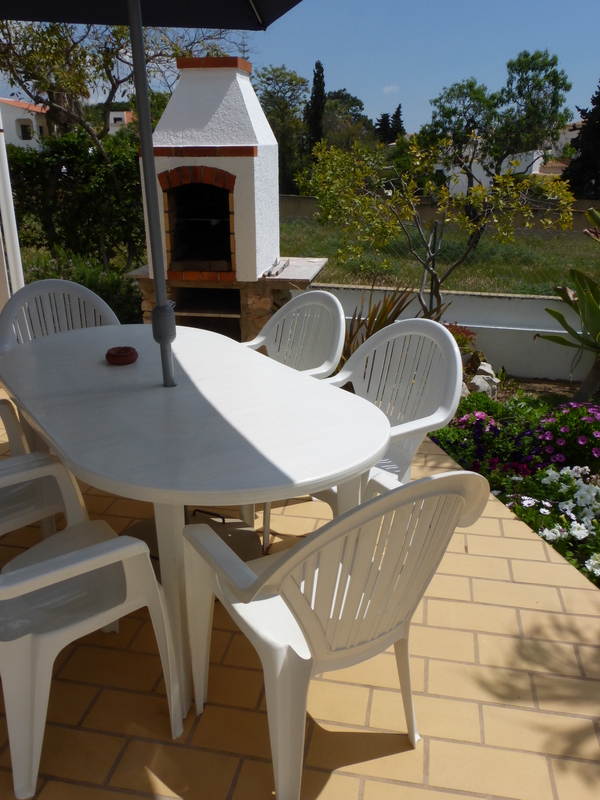 Fresh from a week’s break with family in Albuferia, a bustling part of Portugal’s Algarve. 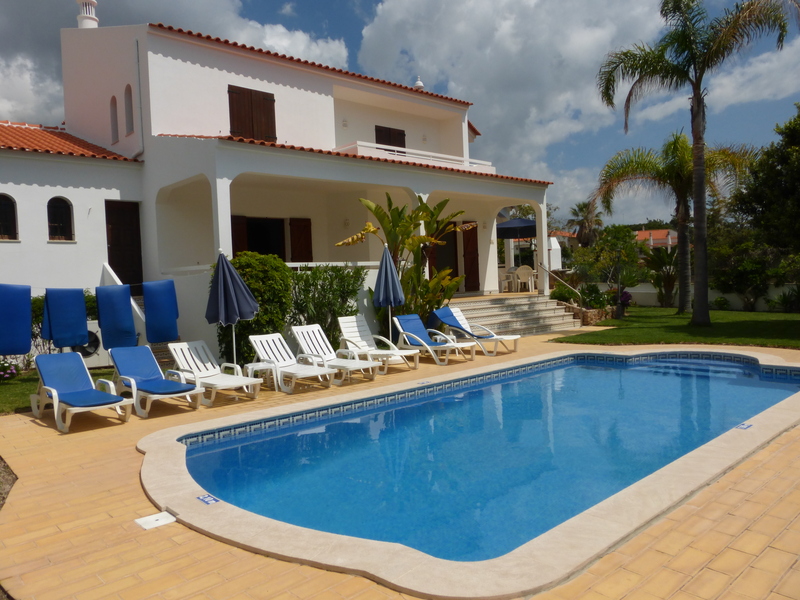 Ten of us rocked up to the very swish Villa Bosque with its own private pool and spacious living quarters. 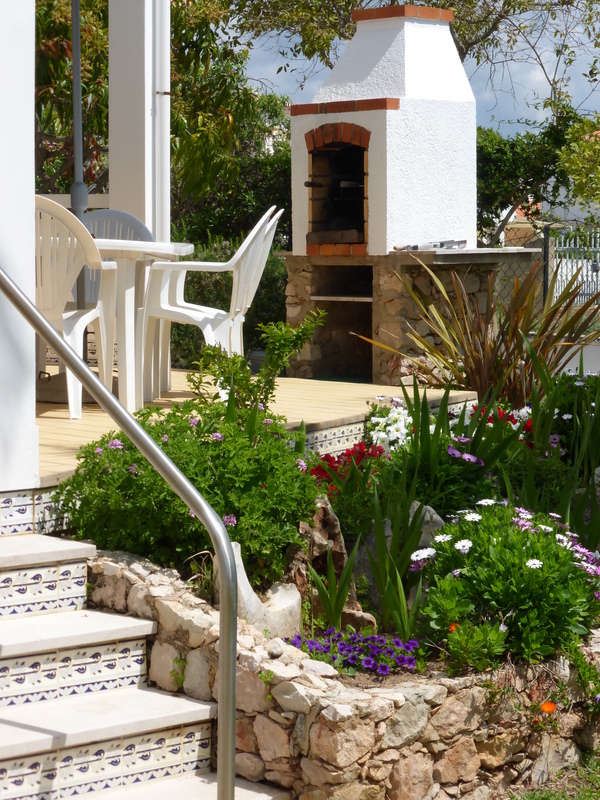 Set down a quiet residential street it is just minutes from the main drag of Praia d’Oura with all its restaurants, supermarkets and “The Strip” the long street of bars. 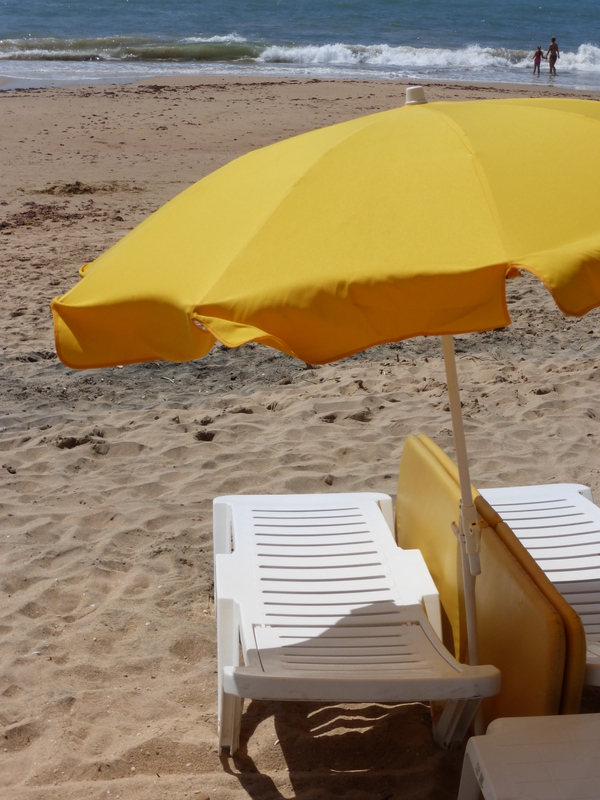 It was ideally placed for the beach too, about 15 minutes walk. Perfect!! 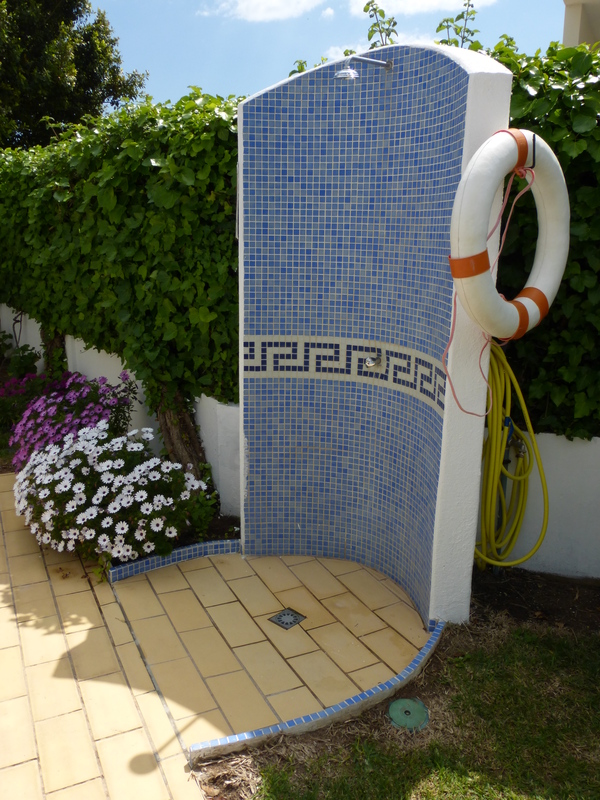 With tiny nippers in tow it was ideal for youngsters with a heated pool and lots of garden space to whizz around in. 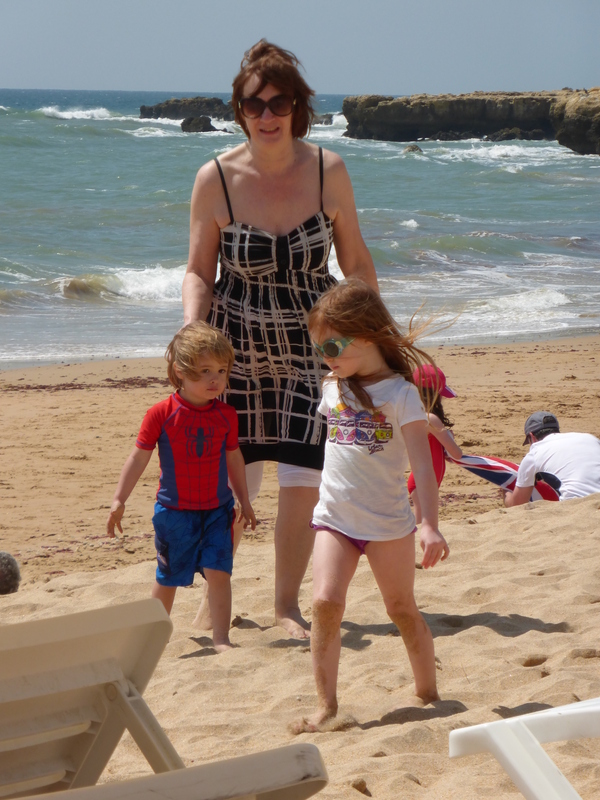 Here is a rare glimpse of my younger sister taking to the water!! 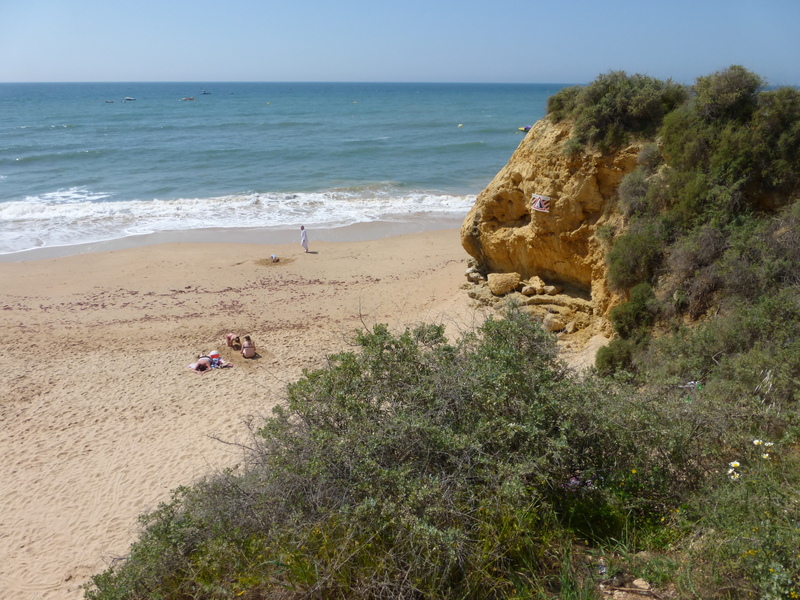 We took a stroll down to Praia D’Oura beach, a pleasant crescent of sand with some of the Algarve’s trade mark yellow ochre cliffs tumbling down to the sea. 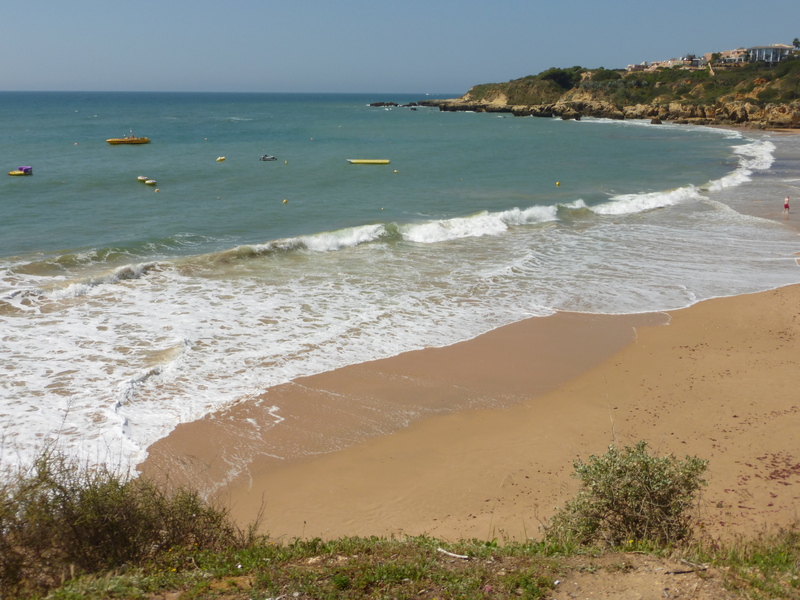 Later on in the holiday I take a hike around the cliff headland in the distance to Albuferia old town and its huge beach.